If you received an SMS text message that looks like the messages below, please read this FAQ article. > Thank you for subscribing to Comedy Calls for £9.00 every week from J1 Media until you text STOP to 83463. You also may have seen charges to your mobile operator billing statement for "Comedy Calls" or something similar. We (CallSpin LLC) are entirely unaffiliated with Learning Tree Media or J1 Media. While the "ComedyCalls.today" website also resembles our own ComedyCalls.com website with a top red banner and site layout, however we do not own or operate "ComedyCalls.today". Learning Tree Media and J1 Media are using our website's name without our permission. We have already contacted them asking them to change the name and they have not responded to our requests. You can cancel your SMS subscriptions to Learning Tree Media and J1 Media by replying to the message with "STOP" and you can obtain a refund by contacting them on their published phone number 03300538733. You can also contact your mobile operator and ask them to reverse the charges as they are unauthorized. If you see these charges on your credit-card statement then we encourage you to contact your bank or credit-card company to ask for a "chargeback" (as you will get your money back and Learning Tree Media will have to pay their own chargeback fees too). 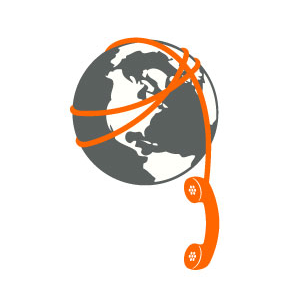 Furthermore, CallSpin LLC does not currently offer any services to UK-based customers nor do we accept operator-based billing nor send Premium SMS messages.